People take martial arts classes for many reasons, the most common of which is to defend themselves in a situation that might improve their outcome in a fight. But that’s far from the only benefit that people can get from joining us at our martial arts school. While different martial arts will affect the body and mind in various ways, there are many advantages you can expect to see from our Brazilian Jiu Jitsu or Muay Thai classes like we teach here in Lyndhurst. Martial arts training isn’t weight training, but there’s no doubt that it causes you to use more muscles than many other hobbies and interests. You muscles are used in new ways, building muscles groups that might not normally be targeted by other forms of exercise. So while lifting weights certainly can give you an advantage in martial arts, it’s not necessary as our classes will work what needs to be worked. Your eyes aren’t the only way in which you can tell where parts of your body are. If you close your eyes and try to touch your nose, there’s a good chance that you can do so flawlessly. Some people call this body mapping. As you get better in our martial arts classes, you’ll become more familiar with what your body can do, what it can’t, and what you have to do to get yourself to the place you want to be. Jiu-jitsu training will certainly exercise a different set of skills than a striking martial art like Muay Thai, but they’ll both give you a better idea of how you move through space, whether that’s at a martial arts school or a dark alley. Unless you’re in peak physical condition — and few of us are — you’re going to be exhausted after your first martial arts lesson. But over time, you’re going to feel less and less tired, even as you exert yourself more. Doing it over and over again means that you’ll increase your endurance, which will allow you to do more and come out on top more often. All exercise involves moving the body in some way (exercising your liver with alcohol doesn’t count!). And when you exercise, you might feel stiff the next day. But over time you become more limber, and your agility increases as your muscles are able to do more and your tendons allow you to move in greater ways. It’s very important in all of the martial arts we engage in here at SubForce to reach for becoming more agile and limber, though some of that comes with the territory. In our Muay Thai classes, you’ll be throwing punches and kicks, knees and elbows…and there’s no way that’s not going to make you more limber over time. You’ll also be heading to the ground, bending over, and getting back up more than ever. When it comes to our BJJ classes, so much of it is being on the ground. That means being comfortable moving to the mat in the most controlled manner possible. It also means increased limberness in the legs and arms as you learn and perform locks, escapes, guards, and submissions. There’s no doubt that people feel more confident when they leave our martial arts school. Even if the sparring didn’t exactly go their way, they leave having learned something during the time and feeling better about themselves, because we’re all about building up our students without patronizing them. This confidence follows them when they leave, and a lot of that is due to endorphins. But that confidence lasts, because they are now in a better position to defend themselves if a situation arises. We don’t suggest you go looking for trouble, but you can hold you head higher and walk into any room with more confidence knowing that you can defend yourself if necessary. This one seems to contradict that last topic, but humility is something that everyone should have at their disposal. When you stop by one of our martial arts classes, you might have an incredible confidence that you can be the absolute best student in class. Great! But you’re also going to have to learn how to be humble, and how to be humbled. As we teach you how to properly practice the martial art in question, you’re going to be at the receiving end of a solid defeat by those who are better, including the teachers. Accepting that humility will help you learn how to better recover from a defeat so that you can move on. Now we’re not saying that taking a martial arts class will replace the need to see mental health professionals, but there’s no doubt that our school can help lift your mood. That’s because, time and again. exercise in any form has been shown to elevate mood levels in most people. 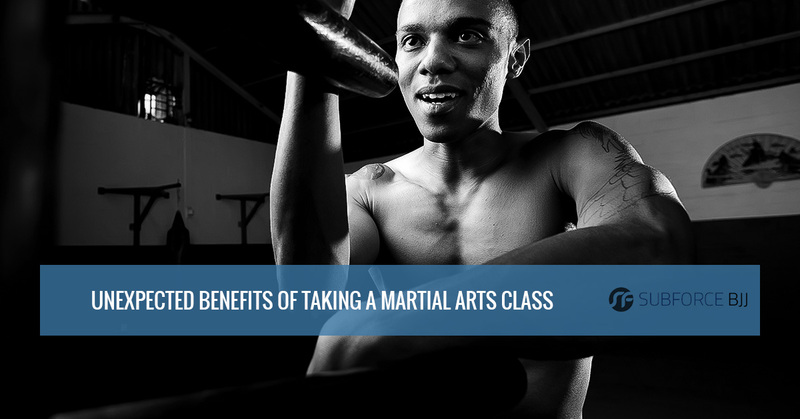 Of course, martial arts classes have another advantage because you’re having fun while you exercise. 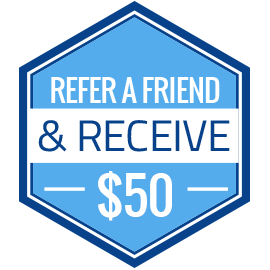 We’re pretty close-knit here, and if you take a look at some of the recent reviews that we’ve received, you’ll most certainly find out how much fun people are having while learning excellent self-defense techniques. Those aren’t the only advantages you’ll find when you join a martial arts class at Subforce, and we might just come back next time to let you know about some more unexpected pluses of the lessons. But if we’ve convinced you that this sort of training is right for you, check out the schedule here.